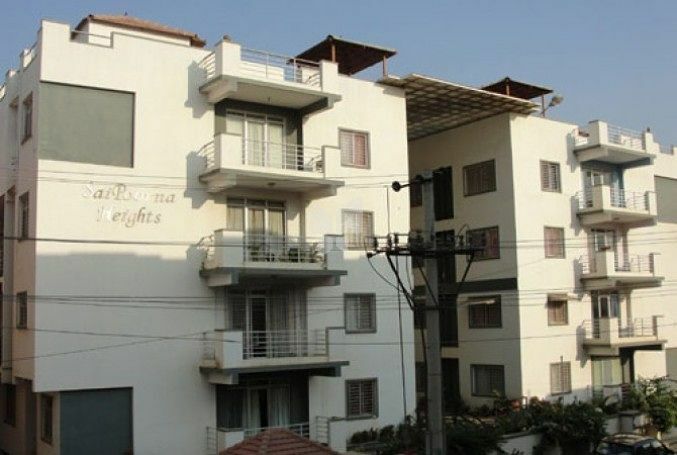 How Far is Sai Poorna Heights? Your address speaks volumes. Especially, when you live at Sai Poorna Heights in HSR Layout. HSR Layout is one of the fastest developing residential areas in Bangalore. Centrally located, with Electronics City, ITPL and Koramangala in close proximity, this neighbourhood has beome one of the most sought-after places in lthe IT Corridor. Reputed Schools, Hospitals, Shopping Malls and Banks are all within easy reach. The Ring Road and the newly built Flyoer on Hosur Road will make commuting to the workplace and back very convenient. Based in Bangalore, Sri Srinivasa Developers is a leading name in real estate development. It is dedicated to delivering distinguished developments cherished by customers, of outstanding value and captivating designs. Sri Srinivasa Developers accurately determines all aspects on behalf of its esteemed customers while planning the look and feel of a new project. Committed to supreme quality, only the finest materials are used for construction with professional project management and timely delivery. Every new project by Sri Srinivasa Developers easily surpasses its customer’s aspirations. It’s because the company adds enthusiasm, passion, and vision of creating not just high-rise towers but luxurious havens that enables its customers to relax, refresh and unwind. Another significant aspect is that all its projects provide enormous potential for investments. The value added features such as arranging flexible finance facility for eligible customers and pre-agreement and post occupancy services separate it from other firms.